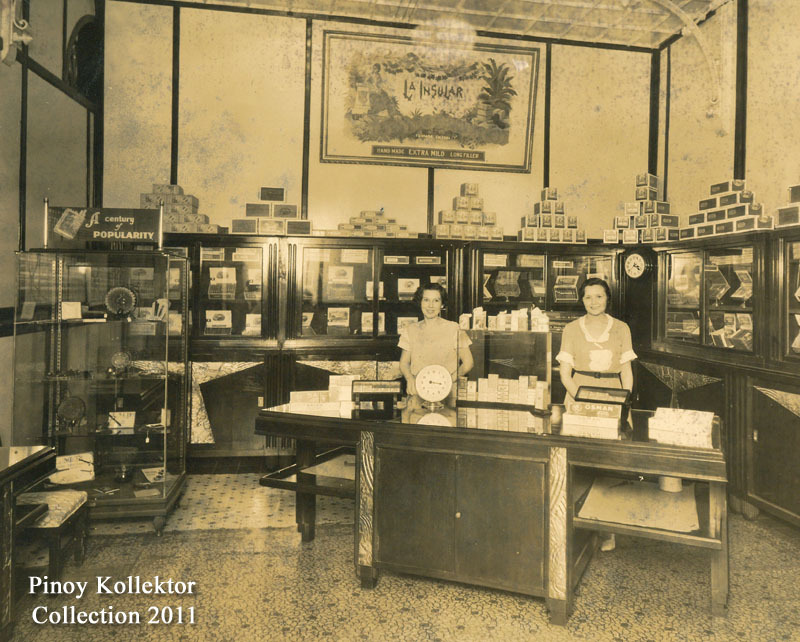 It was a great shopping experience, and the depth and breadth of goods on offer is simply amazing. Here are where devoted collectors go to find that special item or the final elusive part of a collection that they've been looking for. 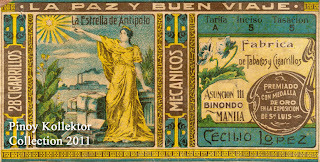 The fair offers visitors a fantastic opportunity to view and purchase a huge variety of items ranging from the antique furniture, santos, ephemera, coins, banknotes, stamps , China, pottery, crystal, glassware, books, metal, art, silver, fabrics, linen, dolls, vinyl records, toys, tins and so much more. There was a dealer who has a lot of Marcos and Imelda medals, so if you were born during the martial law days, this type of collectibles is for you. Another dealer has vintage tin toys that were still made in Japan. Japanese toys were considered cheap during the 50s but now, they are highly in demand and treasured by toy collectors. You can also find beautiful reproduction photos of old Manila during its golden age, which was free from traffic and garbage back then. If you are a bottle collector, one can find a vintage green San Miguel beer bottle from the 1910 and Coca Cola bottle with barnacles still attached that was sea salvaged from a sunken barge in Cebu during the war. A friend dealer is selling a bunch of original sketches and watercolor artworks made by Filipino masters – Fernando Amorsolo, Galo Ocampo, Ceasar Legaspi, Romulo Olazo, Onib Olmedo for bargain prices compared to art galleries inside the malls. 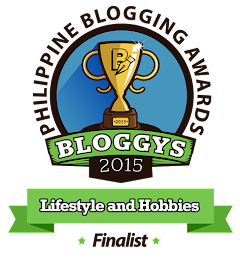 I was able to buy old Philippine medals, coins, and ephemera. There are so many items to buy but be aware - that dealers always expect you to ask for a discount and make sure you always haggle. 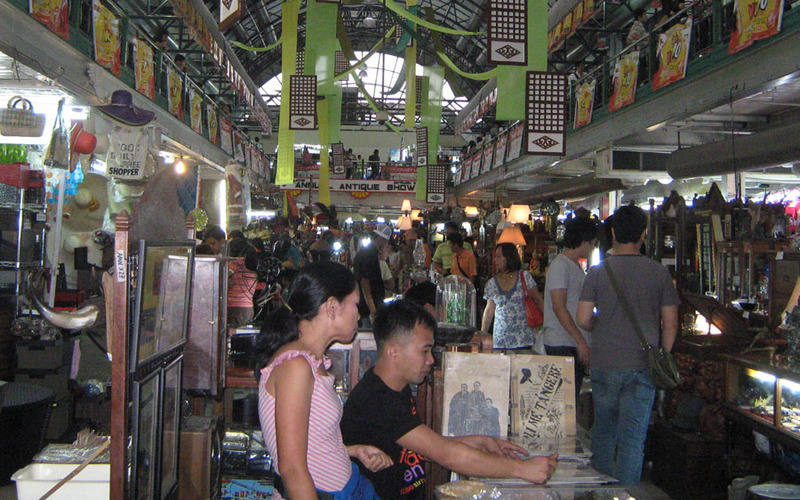 The biggest 24-day National Trade Fair and Exhibition showcasing the country’s best antique and art products is now on going at the exhibition hall of the Greenhills Shopping Center in San Juan City. Considered as the biggest arts and antiques trade exhibition 2011, the show offers the rarest antique and art items by some 1,500 participating SMEs consisting of local manufacturers, exporters and importers of ancestral, tribal furniture and furnishings, home decors, artworks, paintings, sculptural pieces, lamps, chandeliers, jars, ceramics, woodcrafts, handicrafts, precious and semi precious gemstones, jewelry, wrought iron, wooden and ivory Christian icons and collectibles. “Greenhills SMEs hail The Aquino Administration for its continued support for the growth and development of micro, small and medium scale businesses in the country,” sponsoring Patepco president Henry Babiera said. Also on display and sale are SME products such as garments, RTWs, toys and gifts, corporate giveaways, novelty items, housewares, modern, turn-of-the-century European and American inspired furniture and furnishings, fine jewelry, cellular phones and accessories, footwears, ornamental plants, bags and luggage, crafts, novelty items, fashion accessories, sporting goods, food sweets and delicacies. 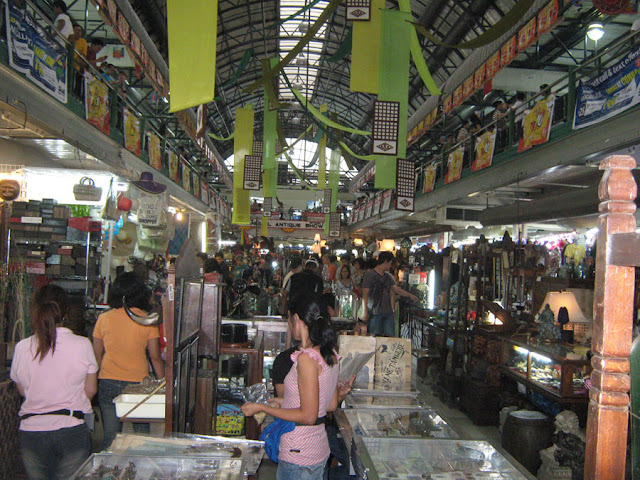 Shoppers and bargain hunters continue to come in droves who take advantage of the first few days of the trade exhibit where items they could bring home for personal and family use are sold at very low prices. 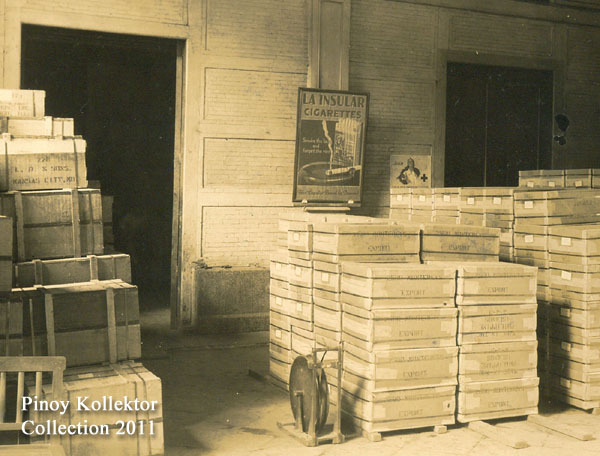 The trade fair ends October 10.
old brass wares, cameras and other heirloom pieces. The La Insular Cigar & Cigarette Factory was a famous landmark in Binondo before the war. The factory together with Hotel Oriente and other building in its surrounding was ravaged by fire during the liberation of Manila in 1944. It is very unfortunate that this important landmark was lost. Now the Metrobank Binondo building stood on the former site of the factory. 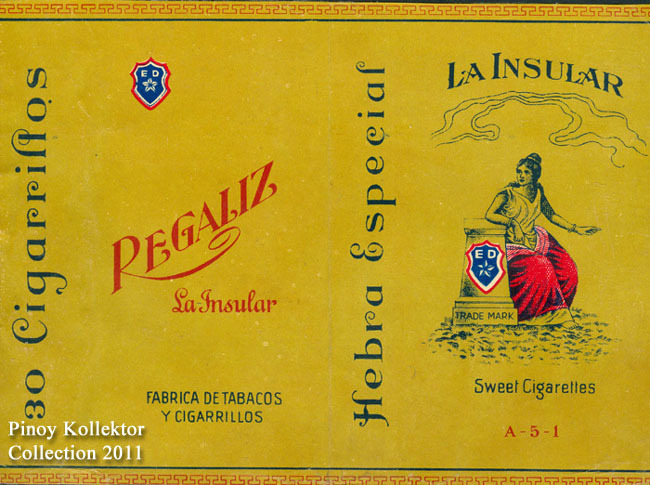 In my collection I have some old postcards, photos and cigarette labels of La Insular which I would like to share. 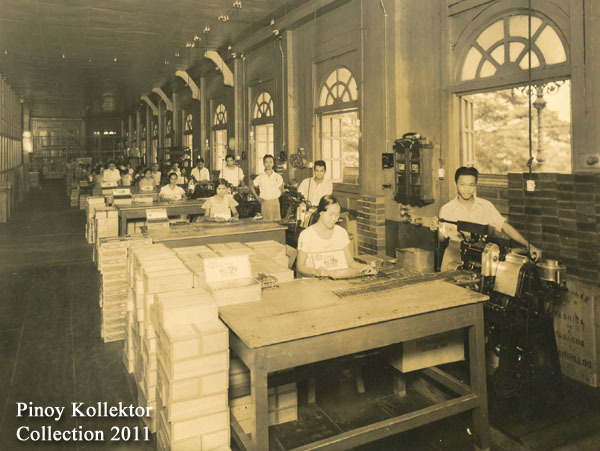 The photos depict the daily life of tobacco workers inside the factory. 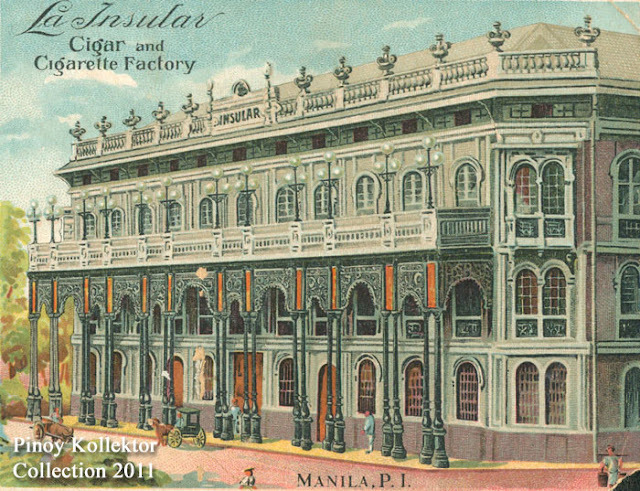 Here is a glimpse of the glory days of the La Insular Cigar and Cigarette Factory. 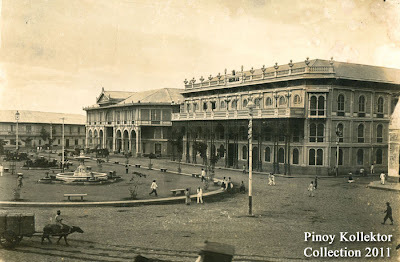 History: La Insular, Plaza Calderon de la Barca Plaza Calderon de la Barca in Binondo retained most of the period houses and buildings built during the 19th century. 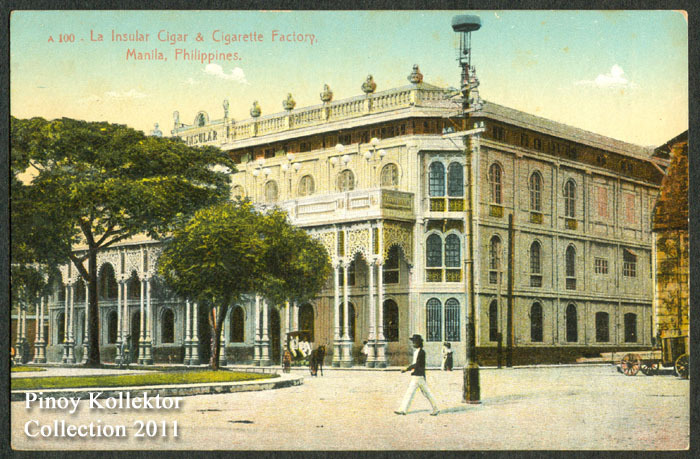 One of those was the La Insular Building. 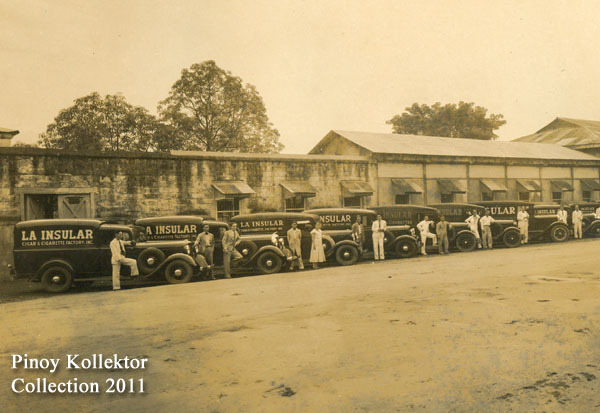 The company of La Insular was founded by Joaquin Santamarina way back during Spanish colonial times. 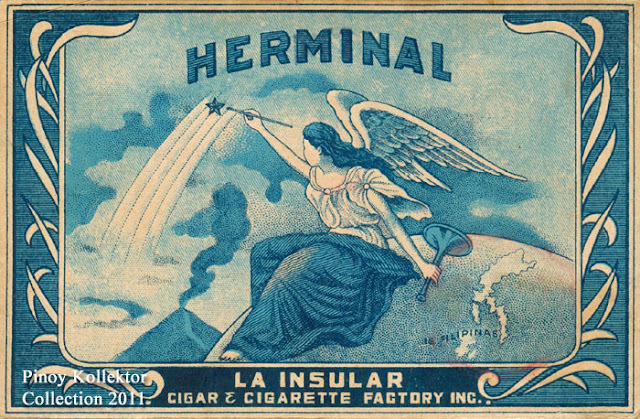 In 1878, Santamarina decided to go into the tobacco manufacturing business. 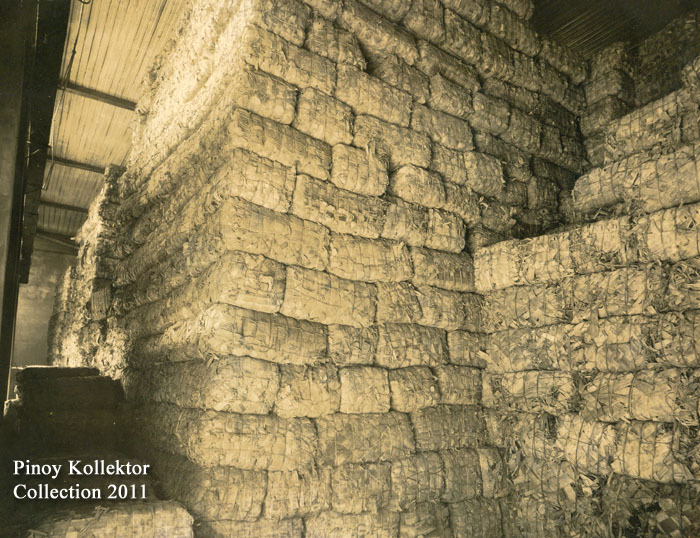 He stored tobacco leaves in a warehouse for five years before he went into manufacturing. In 1883, he used five-year old tobacco leaves to make his cigars and La Insular was born. Philippines until the prewar years. 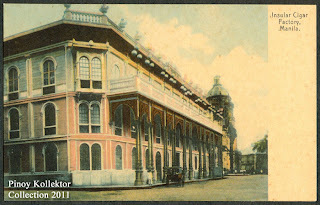 beside the Hotel de Oriente on the left. 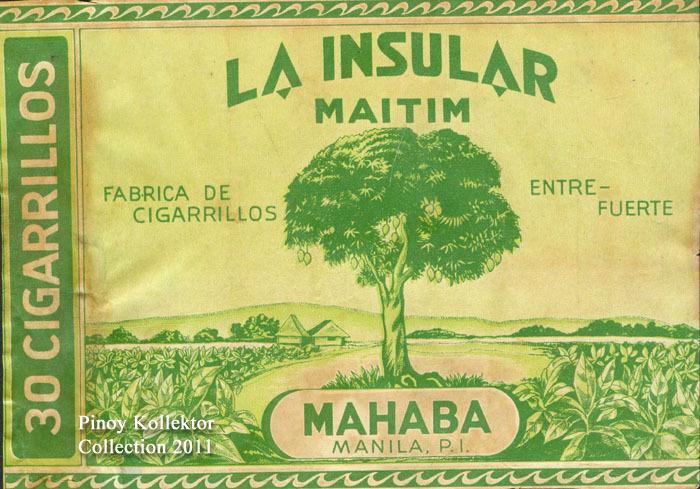 La Insular exported cigars and tobacco to different countries abroad, with the majority going to the United States and England. Its Tres Coronas were especially favored by the English. 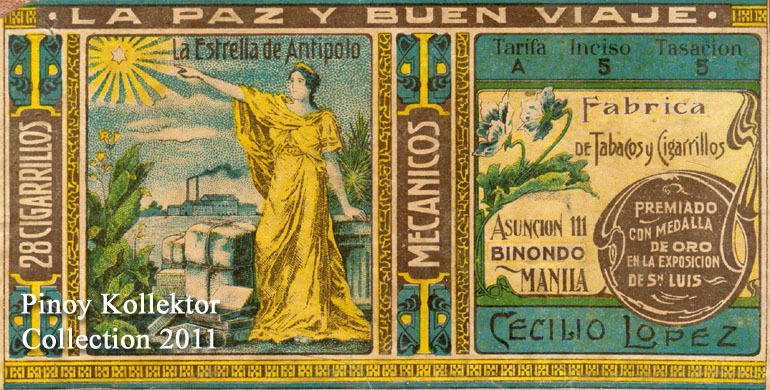 One of the best customers of La Insular was King Alfonso XIII of Spain. 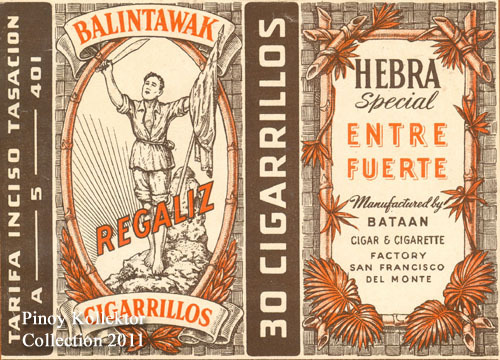 He gave the company royal authority to name a cigar, "King Alfonso XIII" with his own signature. 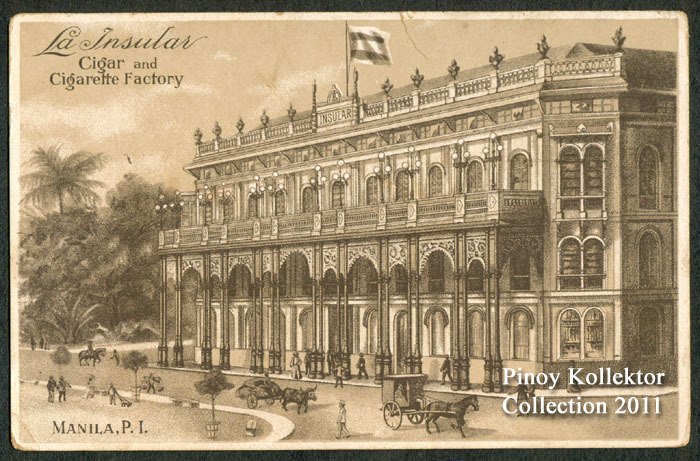 The La Insular building retained its old Spanish period building in Binondo. It was later destroyed by fire caused by bombs during the Second World War. 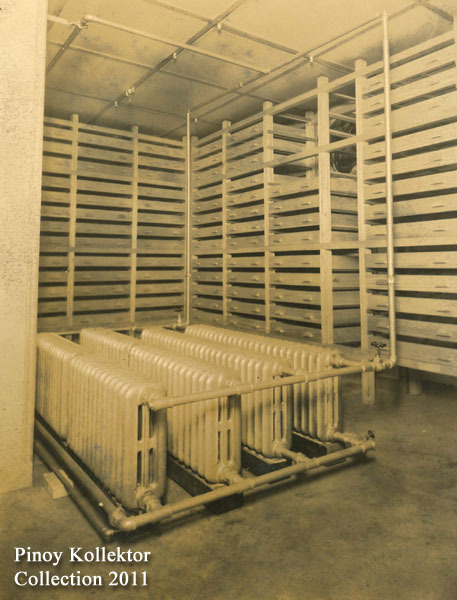 Large humidifiers to control the humidity in the room. 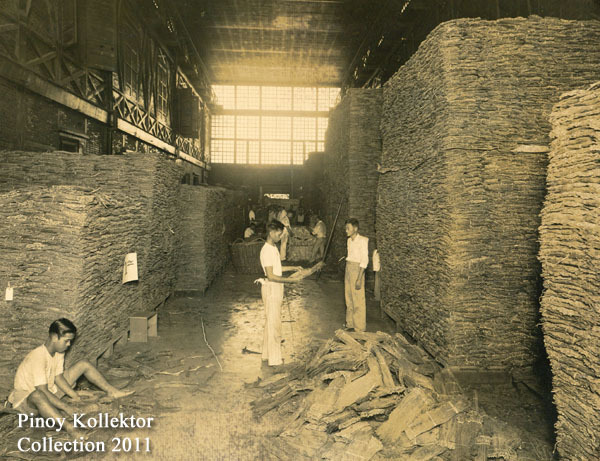 Dried tobacco leaf being sorted out. 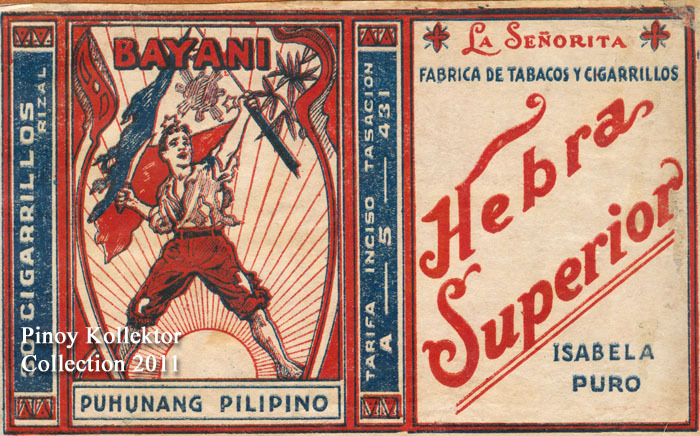 Here is another article of my favorite columnist and historian Ambeth Ocampo about “Cigarettes and Filipino nationalism” on the Philippine Daily Inquirer dated September 20th, 2011. Overheard this joke about a man who returned a freshly bought pack of cigarettes that had the warning: “Smoking causes impotence.” He handed it back to the tindera saying, “give me the one that causes lung cancer.” This made me wonder why some “pasaway” are contesting No Smoking ordinances enforced by MMDA, but do not contest the same in Makati. Tobacco was introduced into the Philippines from Mexico and became so lucrative a cash crop that a “Tobacco Monopoly” was established in the 18th century to maximize revenue. 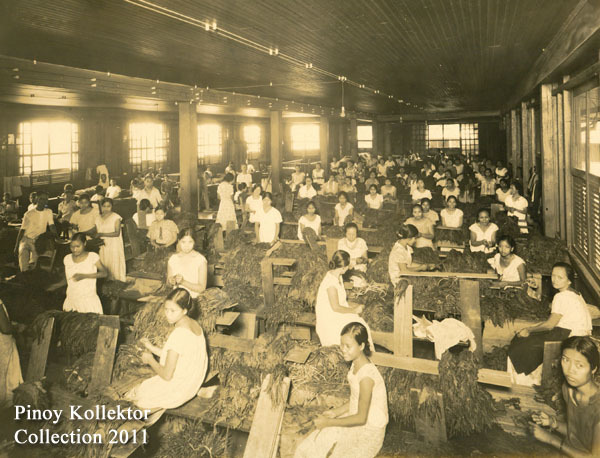 This explains why some areas in Luzon like the Ilocos and Cagayan were planted to tobacco instead of staples like rice and sugar. 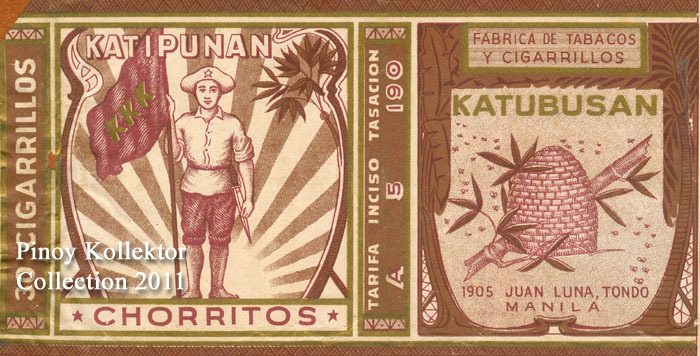 It is fascinating to trace present proposals for “sin taxes” on tobacco and alcohol back to their roots deep in the Spanish colonial period. For a comprehensive and readable study there is nothing better than Edilberto de Jesus’ “The Tobacco Monopoly: Bureaucratic Enterprise and Social Change, 1766-1880” (Ateneo de Manila University Press, 1980). That, however, is not the last word on the topic because one area remains unexplored and these are the various cigar and cigarette labels that were made in the Philippines from the late 19th century to the pre-war period. 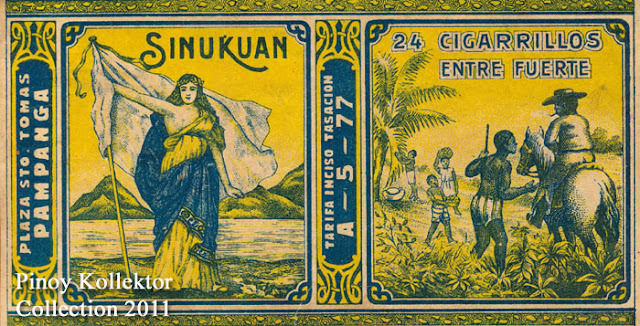 Hundreds of small mom-and-pop companies concentrated in Binondo packaged cigarettes with labels that deserve serious study because these are not just works of art but a mirror of the times. 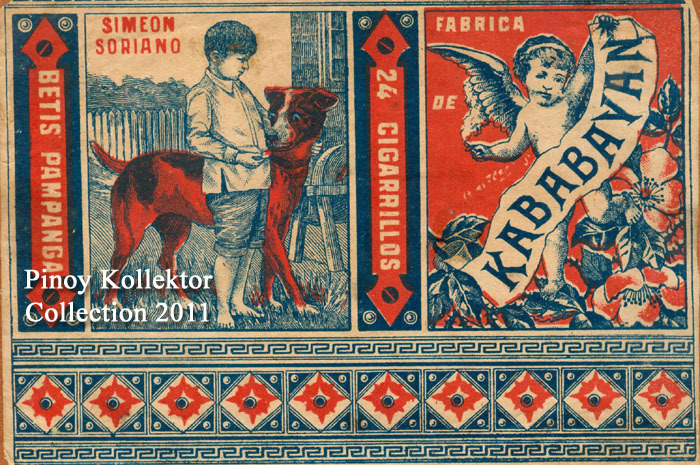 I once read a confidential police report in the National Archives regarding a cigarette factory in Binondo whose labels allegedly contained “subversive” designs. 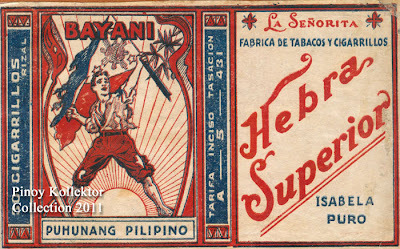 Then in the early American period when a Flag Law prohibited the display of the Philippine flag some cigarette labels carried designs that reminded the public of the Philippine Revolution, the Philippine-American War, or the short-lived Malolos Republic. 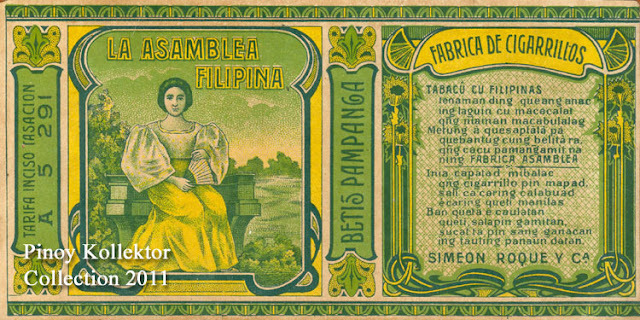 An innocent-looking cigarette label “Filipinas para Filipinos” (The Philippines for Filipinos) openly pointed towards independence. Then there was Inang Bayan, a Filipina in Filipiniana attire, pointing towards the dawn (bukang liwayway) of progress or independence. This made smoking literally dangerous to the health of colonial administration in the islands. 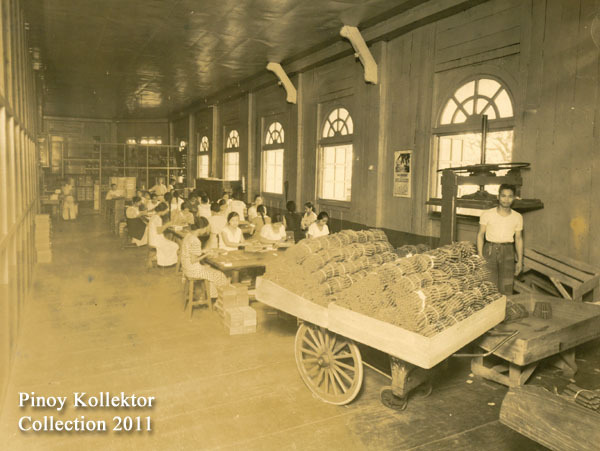 Tobacco has been part of Philippine life for a long time and early photographs show men, women and even children enjoying leaf tobacco rolled into crude cigars longer than their arms. 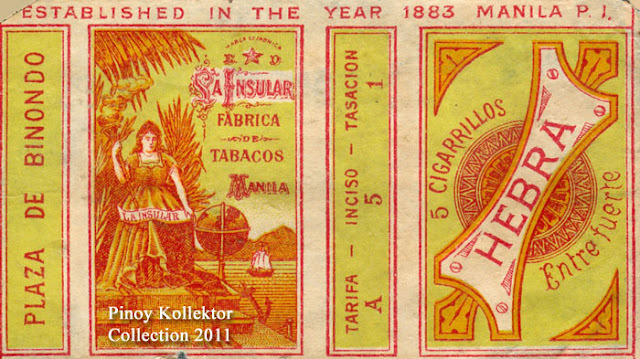 Tax collected on tobacco supplemented government revenue from the 18th century to our day and actually saved the post-galleon trade economy of the Philippines in the 19th century. 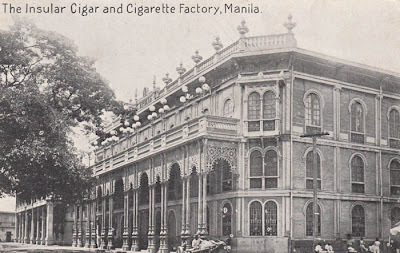 If you look at the expenses of the First Philippine Republic you will notice recurring disbursement for cigarettes distributed to weary soldiers and revolucionarios - proof that smoking fueled, in part, our struggle for independence and nationhood. 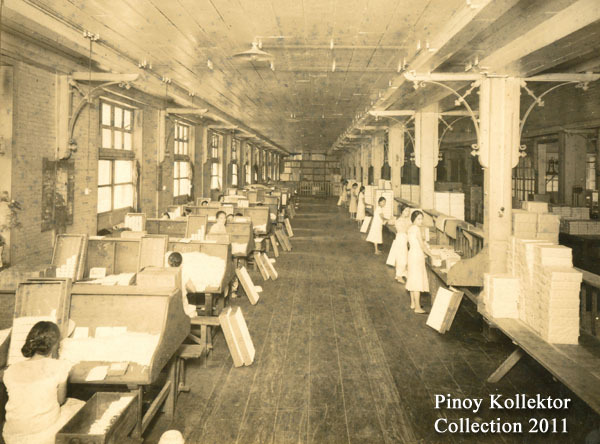 Before the World War II and the entry of branded foreign cigarettes there were hundreds of factories in Binondo that employed armies of workers, mostly women, who deftly sorted and rolled cured tobacco into cigars and cigarettes in the thousands. 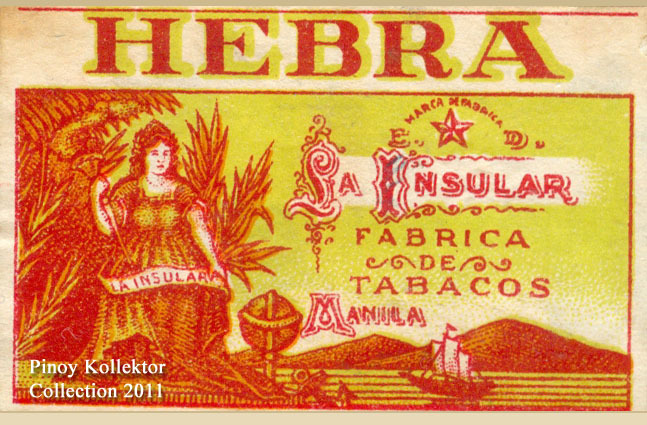 These cigarerras were, like domestics and prostitutes, part of the labor force. Over a thousand different cigarette wrappers are preserved in private collections in Manila dated from the late 1800s to the 1930s that have outlived their specific function and have become a record of Philippine graphic or commercial art. These labels were basic marketing tools that not only advertised specific brands, but expressed signs of the times, including nationalism. 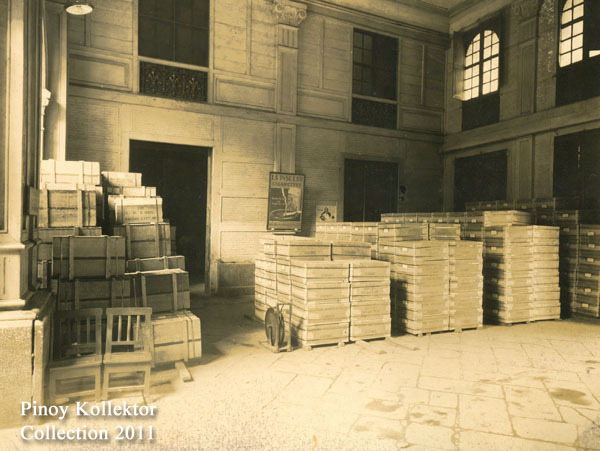 The lithographic process made it possible to print in the thousands, many of them in full color. Because these were common and were often discarded, it is a miracle that many have been preserved for us to study. These cigarette labels normally carried a brand or trade name and a colored illustration that was somehow related to the trade name or the sentiments of the factory owner. These labels also carried an address and a taxation number. 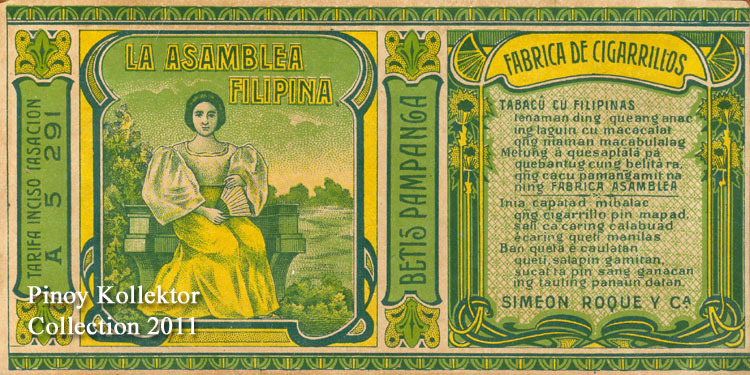 Historians can date these labels from a simple linguistic shift from “Islas Filipinas” to “P.I.” (Philippine Islands) that reflect the change from the Spanish to the American colonial period. 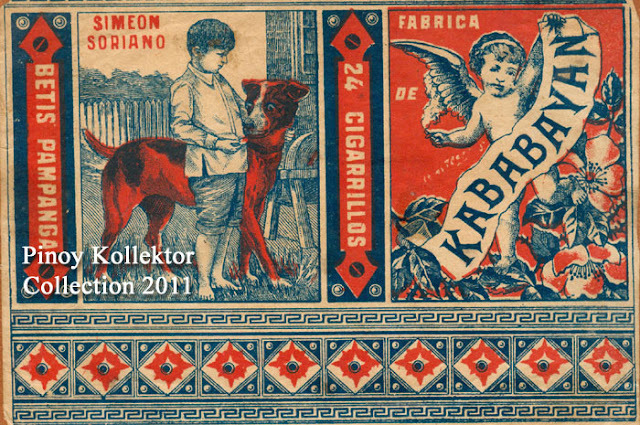 Art nouveau motifs and designs appear in many labels dating them to a period after 1910. 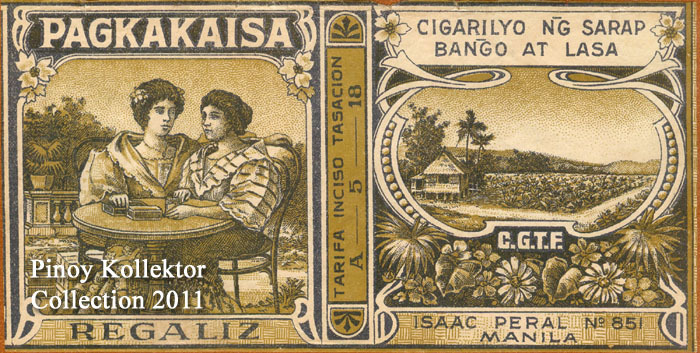 Jose Rizal’s face and name appear in many labels and were given stiff competition in the 1930s with the advent of politicians like Manuel Luis Quezon and Sergio Osmeña whose faces also appeared on cigarette labels. 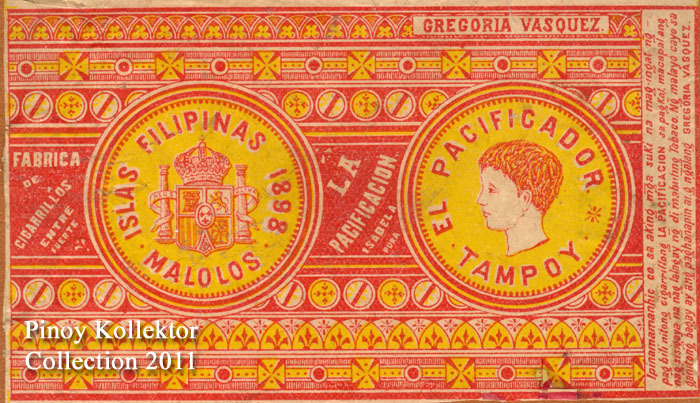 Some Filipino ideals like Pagkakaisa or Magkaibigan were expressed in brand names. 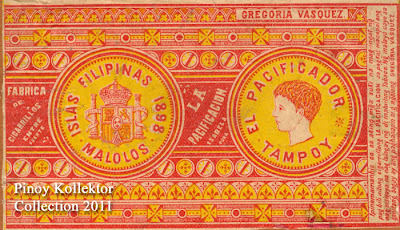 Scenes of tourist attractions like Antipolo and Mayon found their way on labels together with one label with a couple of Japanese geishas who were popular with men in the Philippines who knew them as “karayuki-san” today we export Filipinas as “entertainers” and Filipinos as “hostos” to Japan. I once collected Filipino cigarette labels, hoping to write a source book on early Philippine design, but when I was refused a feature in an inflight magazine on the basis of their no-smoking-in-the-cabin policy, I gave up and sold my collection. Quite sad really because today’s cigarette packages are not as aesthetic as the old ones. 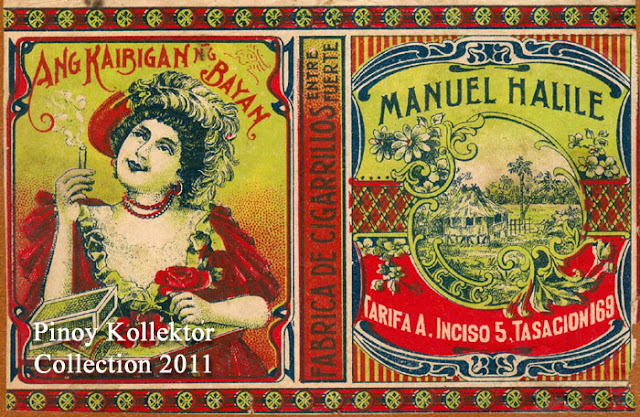 Vintage cigar and cigarette labels are visual fragments of Philippine history, taste and culture.